SHANGHAI– Thousands of pig carcasses, nearly 16,000 as of last count, have been found in Huangpu River, one of the many that supply Shanghai, the bustling, rising megacity and center of commerce for China. 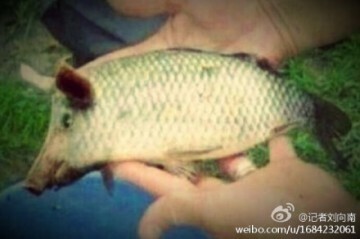 The body count, still rising, came from the upriver Jiaxing city, which supplies much of the pork in the country.2 Was it illness that killed the pigs? Bad weather? Poor facilities? The facts are still emerging. It’s a touchy issue for China, which has faced a number of pollution challenges this year. According to The Guardian, access to clean water is one of the country’s top health hazards. A recent report from UNICEF that they cite notes that nearly 120 million people lack access to clean drinking water. Looking at dead pigs in the water is understandably not appealing, but how best to keep the story and imagery alive? True to form, China’s meme makers have responded with dark humor to tell the story. 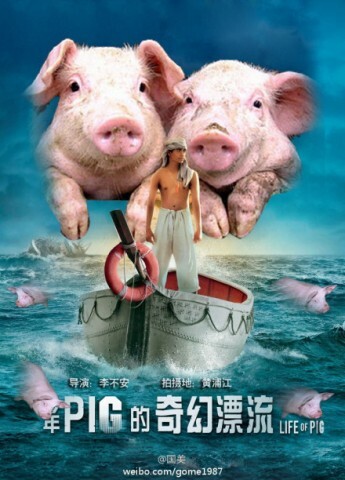 With the soaring popularity of Life of Pi–it’s grossed more in China than in the U.S.3–, “Life of Pig” inevitably became a meme. 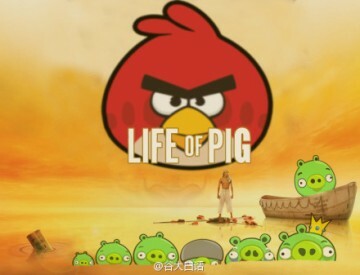 The meme-scape around the world is filled with Angry Birds references, and China is no different. Angry Pigs made a natural fit to express outrage at the situation. 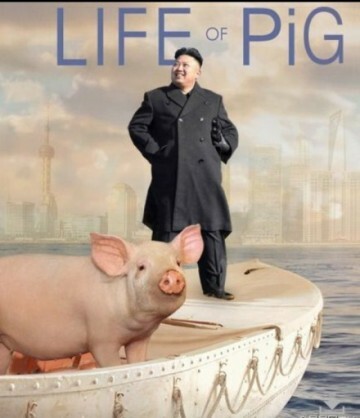 Kim Jong Un looking at a pig? 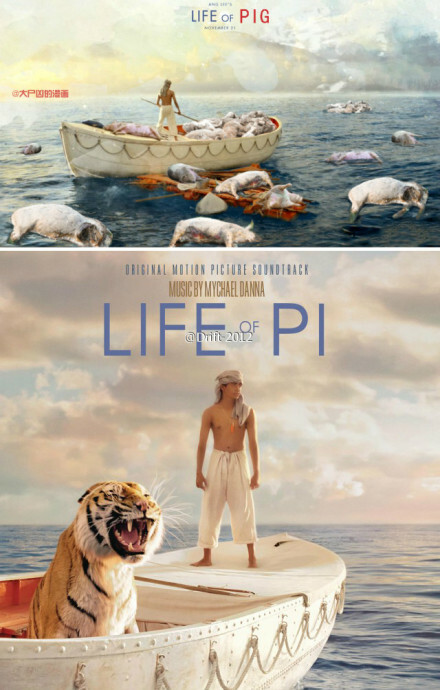 A stunning illustration juxtaposed alongside the original poster. Artist Meng Changsheng asked if the pigs are a reflection of China, a mirror to the country’s social and environmental woes. 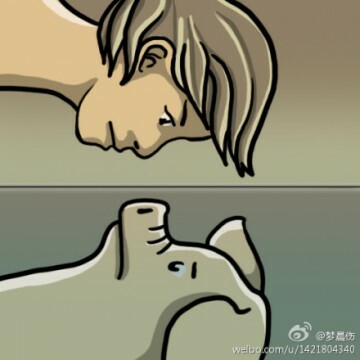 And lucky for Sina Weibo users, a pig icon already exists, allowing anyone to simply post it as a way of drawing attention to the issue and keeping count. A simple search of [猪头] (“pig head”) reveals many of these messages, buried amidst messages that don’t refer to the incident. This story is still evolving, and we’re grateful to China Digital Times readers and the China Media Project for collecting some of these images. What else is out there? What else have you seen? Contribute your own findings at our Tumblr.